Ashleigh (Scotland) Limited have recently been awarded a newbuild project for North Ayrshire Council. 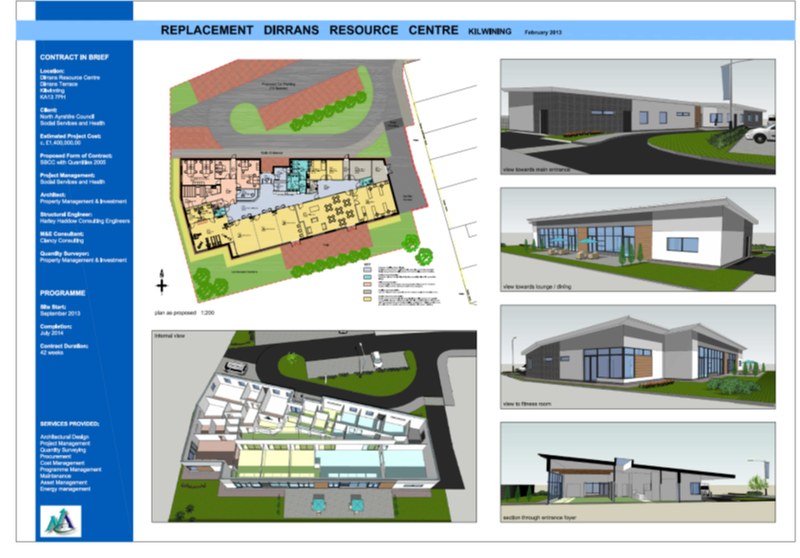 The replacement Dirrans Community Centre in Kilwinning will commence on site 3rd March 2014. Works will be complete later in the year.